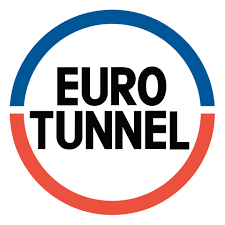 of Flanders Rally - Omloop Van Vlaanderen, based in the Flemish City of Roeselare, Belgium and just over one hour from the Port of Calais and in close proximity to Zeebrugge this is an easier event to access. for 60years so it is safe to say that this event as well proved itself as one of the great events on the Belgium calendar and European stage. 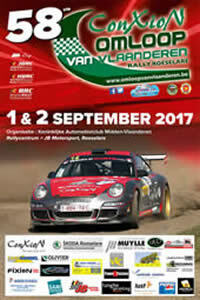 Based in the Flemish City of Roeselare the Flanders Car Rally runs along side the Historic Tour of Flanders, with centralized servicing and limited road mileage this is a very compact and well organized event. The lending itself to easy spectating which even allows your service crew to have a sneeky look and get back well in time for service. 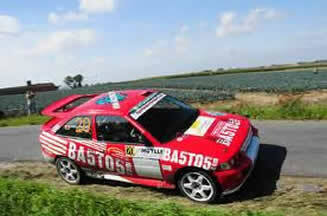 A brief history of Flanders Car Rally. 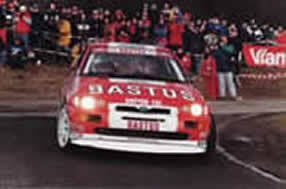 One the most successful and popular British drivers to compete on the Flanders Car Rally was the late Tony Pond. Tony enjoyed Belgium, and was know for taking time out after the event was over to visit the WW1 airfields on his bicycle. History and especially early aviation was one of his passions. 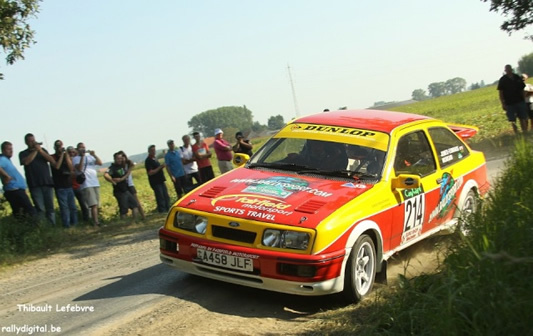 During the years that the Rover Metro Cup/Challenge was running, Tony Pond was a great inspiration to the young drivers competing for their first time on the Flanders Car Rally and in Belgium. The Tour of Flanders Car Rally takes you close to the historical site of Passendale, remembered for one of the bloodiest and worse British military blunders of World War One. If Rallying in Flanders teaches you one thing only, it should teach you to respect for the lives given in World War One for our freedom today. Be sure to take time out and pay your respect and gratitude to the boys who their today for our today and the freedom we enjoy. 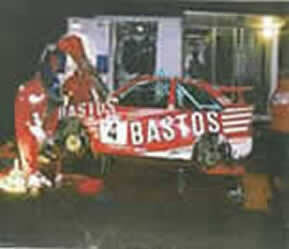 The Flanders Car Rally has been won many times by Snijers and Droogmans both these drivers had a close association in their Ford days with Jeff Churchill of JC Hire, a Welsh based hire company who worked closely with Ford's competition department at Boreham and offered the latest technology for hire. 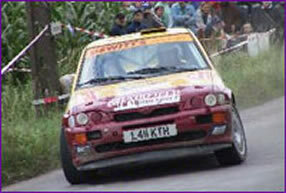 Jeff Churchill himself was a very competent driver, although self funded in his Rallying and backed by father Bill. Jeff always was loyal to Ford and competed in the latest Ford machinery and should have had the honour of being a full works driver. Jeff is a regular visitor to Belgian rallies and may well be seen around the Flanders Rally stages and service area during the event. 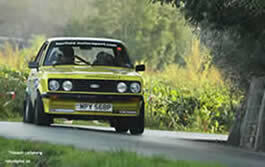 Many of his previously owned Escorts will be competing there now in the Historic section.